How great it is to have a gemstone that not only looks regal but also provides a host of benefits like protecting the wearer against negative energy, bringing joy and strength, etc. Well, that’s what the immensely beautiful Ruby gemstone is all about. For centuries, the ruby stone has mesmerized gem lovers and bolstered the trust of astrology believers. 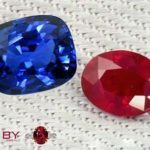 But, nowadays, one can mistakenly buy synthetic and fake rubies that may look like natural rubies but don’t possess the qualities that they do. Let’s take a look at one such variety of rubies called the Lead Glass Filled Rubies. Being the precious gemstone that Ruby is, its demand has always been greater than its supply. 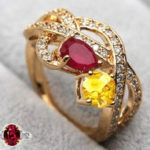 This is the reason why several jewelers looked for ways to make profits by selling different varieties of the ruby gemstone and sell it at unbelievably high prices. 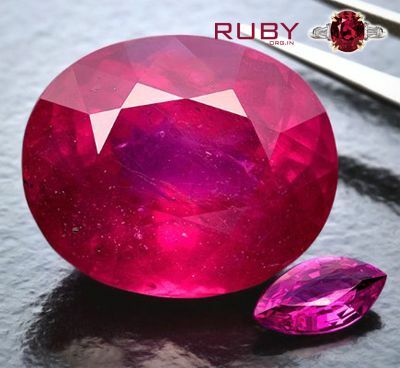 While many ruby stones were treated, gradually the production of lead glass filled rubies started and these gemstones made a place in the gems market. What exactly is a lead glass filled ruby? Created using heat and an element to bring the deep red color like a natural ruby, lead glass-filled rubies are treated to fill the fractures that are there in the stone. These gems may imitate a ruby well, but they don’t match the strength and resilience that the genuine stones have. Even when they don’t command a price as high as that of a pure ruby stone, some jewelers sell them at extravagant prices, that too without disclosing their real identity. Why are these being sold in the market? Merely for profit making and with the notion that the buyer must exercise caution while buying something as it’s not the duty of the seller to disclose that the rubies that are being sold are not genuine, there are many sellers who are luring customers with lead glass filled rubies. How to take care of a lead glass filled ruby? Exercise caution when you wear a glass filled ruby stones and avoid contact with heat and chemicals as they may cause damage to the treated gemstones. Also, care should be taken to prevent using lemon juice or cleaners that may crack the stone. How to tell if you have a lead glass filled ruby? Unfortunately determining this may not be possible unless you take the gemstone to a reliable gemologist and get it checked. How to avoid buying a lead glass filled ruby? 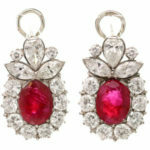 Make sure that your chosen supplier of the ruby gemstone is a trusted and well-known gemstones seller. Avoid buying any gemstone, be it a precious or a semi-precious one, from an unknown seller to prevent falling prey to fake rubies. Also, be wise enough to question the authenticity of the ruby that you are buying. You will be paying a good amount of money for the gemstone you are planning to buy, and you have all the right to question the seller. 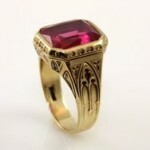 If you have any doubt, then don’t hesitate in confronting the seller that the ruby is a lead glass filled one or not. Good jewelers will disclose the true information without any reluctance, helping you make an informed decision. How To Wear Ruby Studded Jewelry – Rings, Pendants?